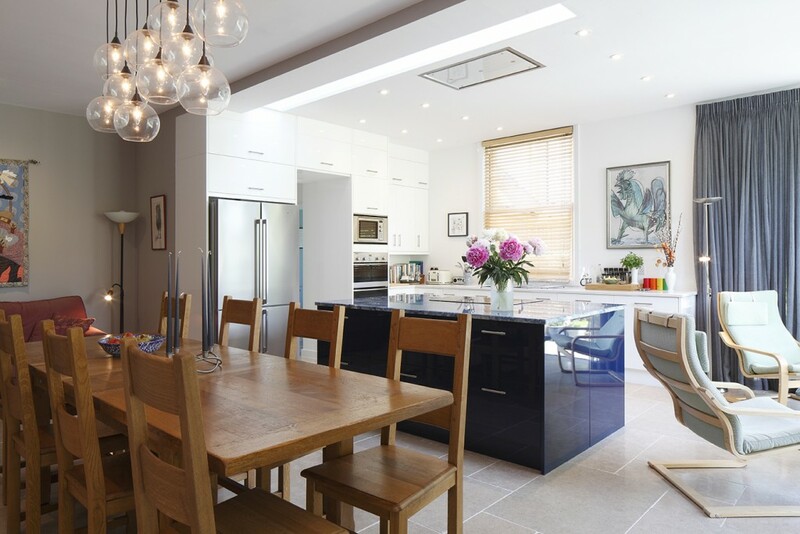 The dark dining room and outdated kitchen in this detached Victorian house needed attention. 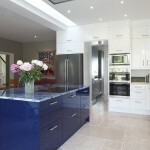 An existing utility room and cloakroom blocked access and light, so were relocated. 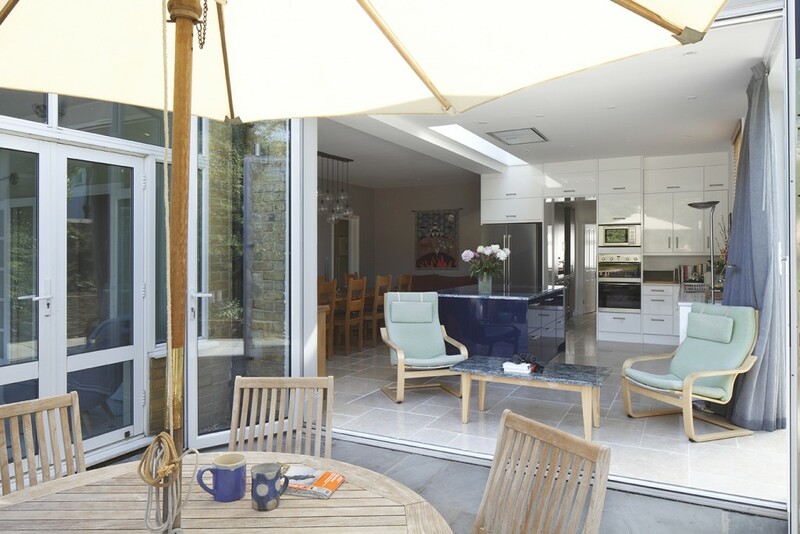 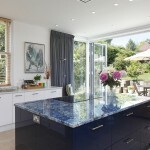 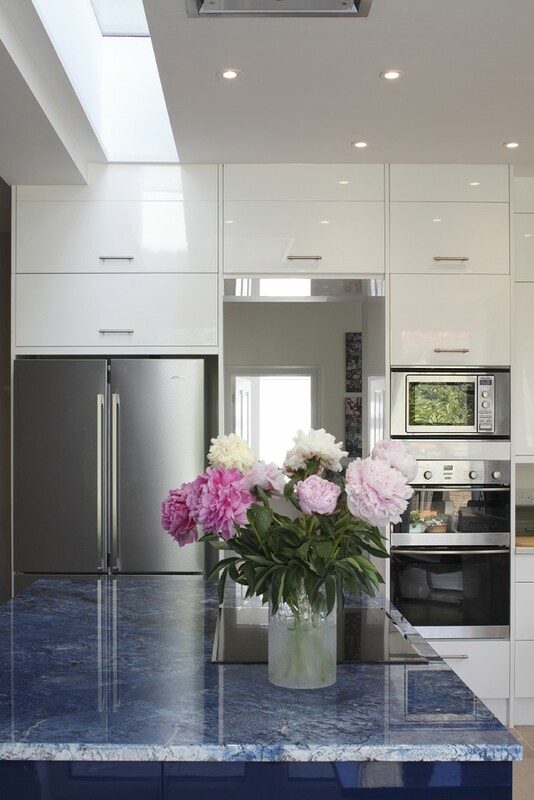 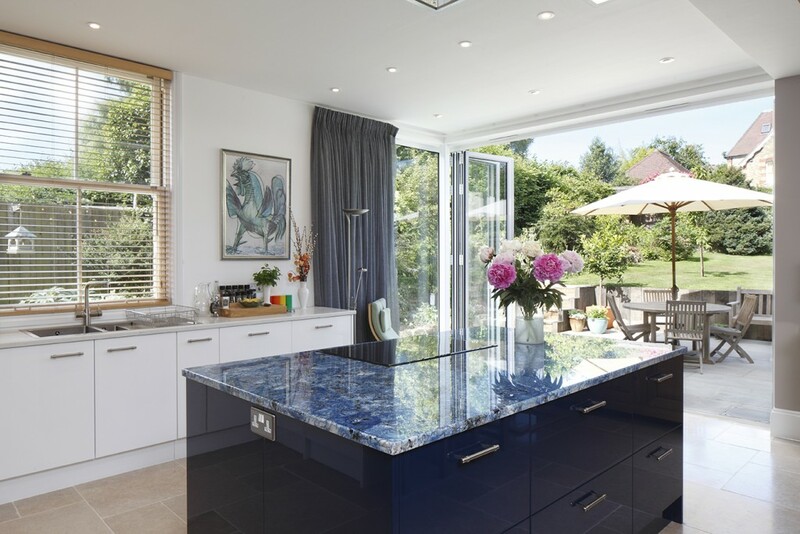 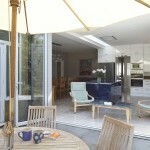 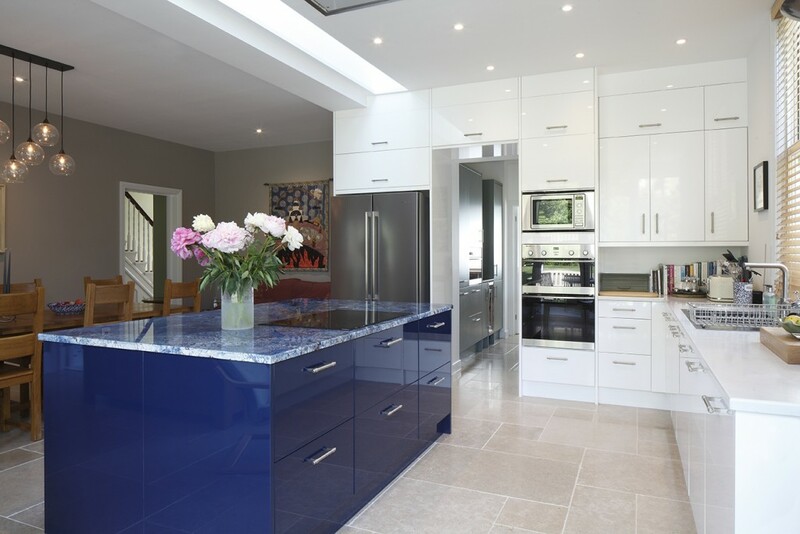 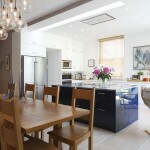 Floor levels were adjusted, a new extension with rooflight constructed to form a bright, light-filled kitchen and dining area, linked to a paved patio with tall folding-/sliding doors.